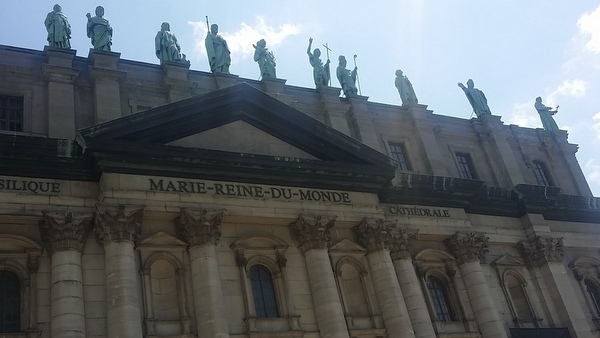 MONTREAL — Quebecers have been rejoicing for months, ever since the Vatican announced February 19 that their beloved Br. André would be made a saint. 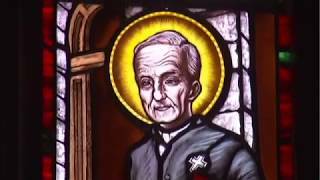 Now that Pope Benedict XVI formally canonized St. André Bessette, or St. Brother André (a more intimate title approved for him for local use), the celebrations can officially begin. In fact, they are already underway. Celebrations started at St. Joseph’s Oratory, soon after the 2.5-hour canonization Mass October 17. A solemn mass was scheduled in the basilica for 11 am, during which the official icon of St. Brother André was to be blessed. The icon will be installed in Br. André’s first small chapel to St. Joseph October 31. A series of concerts — chamber music, organ and carillon — were to follow in the afternoon. As well, a new exhibit in the oratory museum on the life of St. André was opened. Celebrations will take on a much larger scale for the Rendez-vous saint frère André, which includes a variety of activities over a three-day period, from October 29 to 31. The highlight of the weekend is a mass at the Olympic Stadium, October 30. About 50,000 people are expected. More than 40,000 tickets have been sold to date. Reputed violinist Alexandre Da Costa and Quebec pop singer Chantal Pary will perform. Jean-Claude Cardinal Turcotte, Archbishop of Montreal, will preside. A special mass has been organized for the extended family members of Br. André, October 31. And, following a mass in the basilica that same day at 7:30 pm, the pilgrims will process with the icon of the new saint to Br. André’s first small chapel, where it will be installed. But the celebration won’t end there. It is expected to continue into the New Year with a tour of Br. André’s relics. St. Joseph’s Oratory, in collaboration with the Diocese of St-Hyacinthe and Br. André’s home parish, Saint-Grégoire-d’Iberville, will organize the tour. Planning will start in January, said Luce Dion, director of communications at the Oratory.